FEATURE— My husband and I drove east 23 miles from St. George on state Route 9 and turned right onto South Mill Road in Virgin and instantly started searching for the Virgin Town Park. First we spotted an old miner’s wagon surely with a tale to tell, the old school under renovation, a jail house fixed on the north side of a fresh patch of turf. 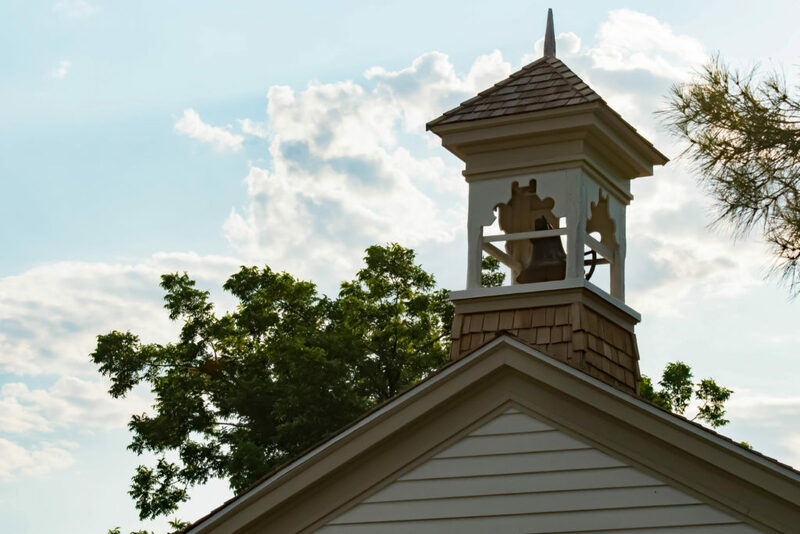 We met Jean Krause, town official pro tem, next along with the town’s mayor, J. Bruce Densely, who rang the old church’s bell that normally announced town meetings. Krause was directing a group of about 20 history buffs carrying souvenir walking sticks and we joined them. The summer sun burst over a row of mulberry trees and the morning’s loss of cool was underway. Nevertheless, we listened to Krause fill us in on the wild, sad, brilliant and remote aspects of Virgin closed in by red sandstone cliffs and shaped by flash floods. Virgin Town was first named Pocketville — Paiutes called the place “pock-ich” meaning cove or circular area. 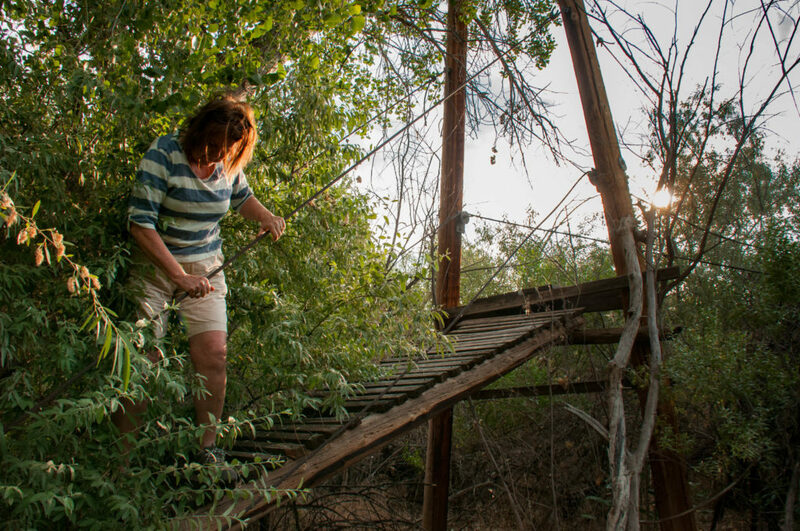 We understood why as we came upon remains of a swinging bridge used by townspeople to cross the serpentine river that had formed the east and west pockets of town. 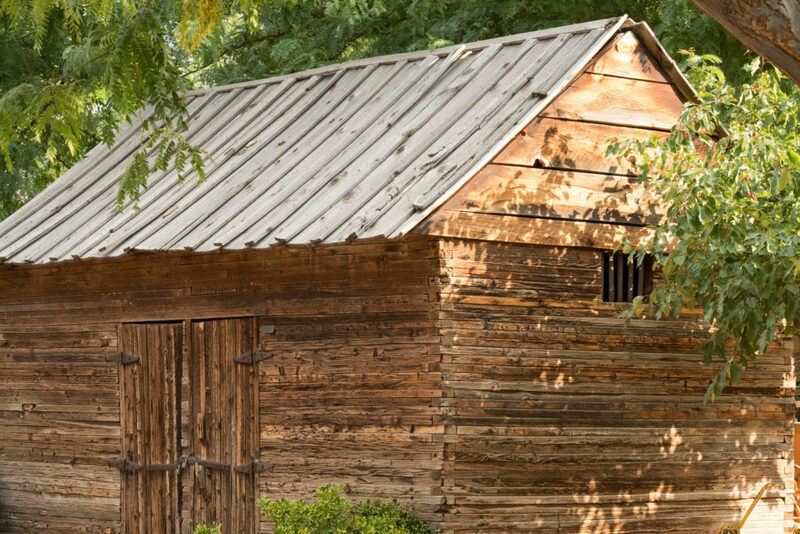 Densely, rode along in his treasured Willy jeep and herded the laggers, especially the photographers shooting a rickety but interesting log cabin. 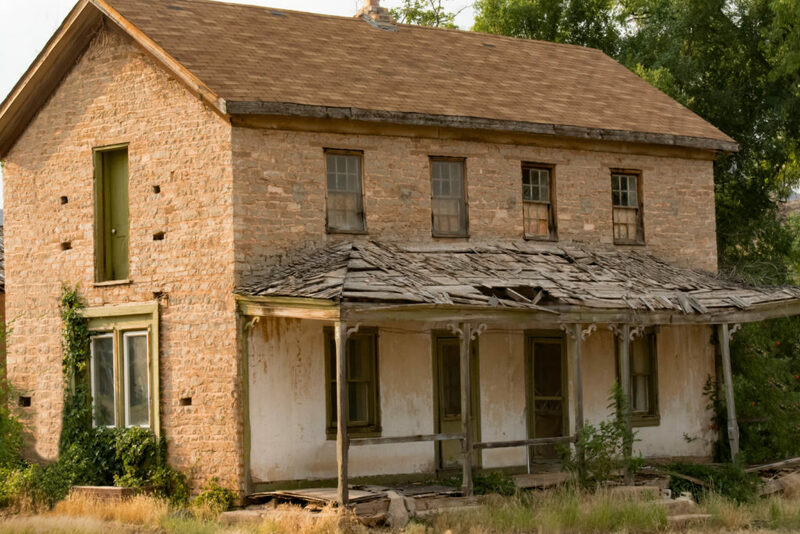 Our walking group passed several ramshackle homes and Krause mentioned names of pioneers who built and lived in them. 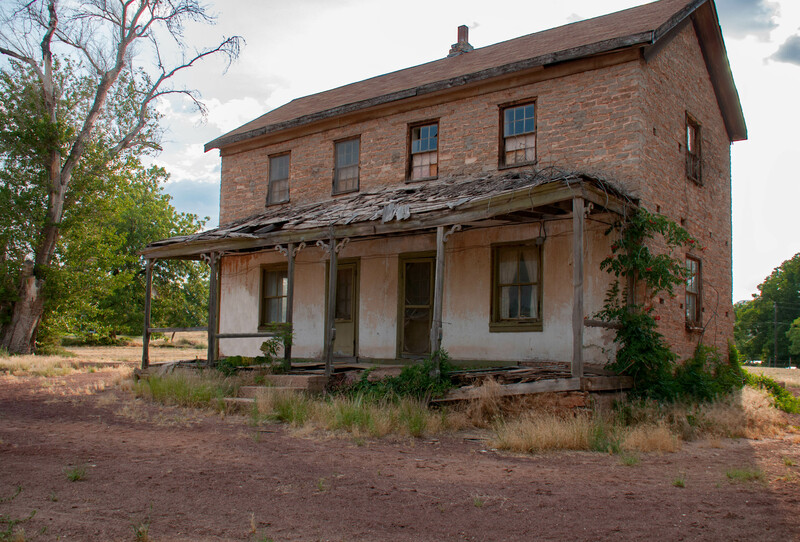 I lingered at the John Parker-Isom home and studied the rock and mortar and adobe bricks. Some wood shingles remained, shaved from Fremont cottonwoods growing along the banks of the Virgin River. My concentration blurred as I envisioned the Parker family making a box wagon their first winter home. Luckily, I thought, the warm winter enabled them to live mostly outdoors. John Parker’s daughter, Alice, just 14, had declared “This is a dreadful place!” we were told. The Parker family had moved from a more civilized Salt Lake City and Alice’s father, while in St. Louis, had made a small fortune in the soda water and root beer business. He brought with them 11 wagons with two yoked oxen each, a threshing machine and a large spring-carriage pulled by handsome coach horses. Their herd included cows that furnished milk and butter for the company trekking across the plains. The jolt of the wagon churned the butter. Alice Parker grew up ladylike in her manner and speech yet tackled anything that needed to be done to establish her home in Virgin. She helped her father plant apple, peach and apricot orchards near the river in a fertile pocket. She helped build beehives and a chicken pen. Her father constructed their English-style home and opened a co-op store on the back porch. At age 17, Alice left Virgin and traveled to Salt Lake City for education and met George Isom in the church choir. He was a Black Hawk War veteran and carried the mark of an arrow in his back. The two dated, sang, danced and played major parts in theatre together until, four years later, the sweethearts married. The young couple returned to Virgin Town with $1,000 worth of merchandise for Father Parker’s store. Locals flocked to the co-op and sales often totaled $100 a day. George Isom meticulously kept track of the goods purchased and supplies on hand while Alice clerked. It wasn’t long before Father Parker turned the whole business over to them. George Isom erected a new building for the store near the house so Alice could care for their children and still help customers. With each new child, George added rooms to the house. 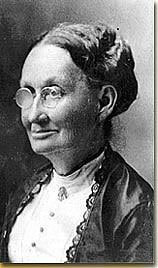 Resourceful Alice Parker Isom aided neighbors with transporting their sorghum and dried fruit to Salt Lake City. The trip could be made in about 16 days and they returned with wagonloads of flour and salt from the Great Salt Lake’s shore for her customers. She also took a course in the much needed skill of obstetrics and traveled up and down the river delivering babies. Her fee was $2.50 but she left more clothing and supplies than that payment would buy. History suggests there wasn’t anyone more cozy or comfortable in Virgin Town than the Parkers and Isoms — happy and grateful for what they had. The townspeople were connected not by events but frustrations of ordinary everyday life. Riverbanks overflowed. Sickness and death shadowed families. Farming work was never done and everyone pitched in to raise huge families. The Isoms, George Alice and the children, labored to make their home the happiest spot on earth for all who entered. Prosperity crowned their efforts. Alice Parker Isom suffered her greatest sorrow at age 38 — the deaths of her baby, her father and her sweetheart husband — all within a few months. Saddened and alone, her life was a blank. But George Isom had provided some reserves, so Alice wiped her tears and went to work. She had eight children to raise and a business to tend. In the fall of 1894 some of the co-op’s stockholders thought Alice Parker Isom was doing too well. Some wanted her job and talked of building a new store. Alice was adamant this decision would be a calamity but the shareholders withdrew their interest in her co-op and started another store. She grieved to find her in-laws cashed out too. So Alice Parker Isom packed her new wagon with five of the youngest children and journeyed to Provo for their schooling; she left the home and remains of the store to her oldest married daughter. After a short time the other store paid no dividends and dipped into debt, then closed. 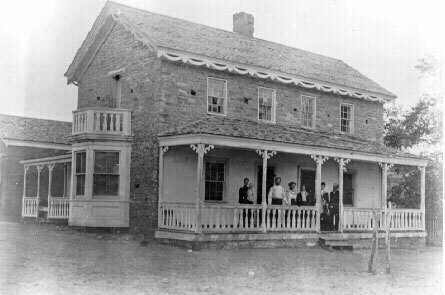 The townspeople begged Alice Parker Isom to return and re-open her co-op. The oil rush of 1907 brought strangers, many visitors and laborers to Virgin, some with riot in their souls, some outlaws in hiding. But Alice Parker Isom altered her home into a hotel and never turned anyone away. Alice Parker Isom lived wholly 76 years and at her death returned to Virgin — buried in the Pioneer Memorial Cemetery on the north side of SR-9. 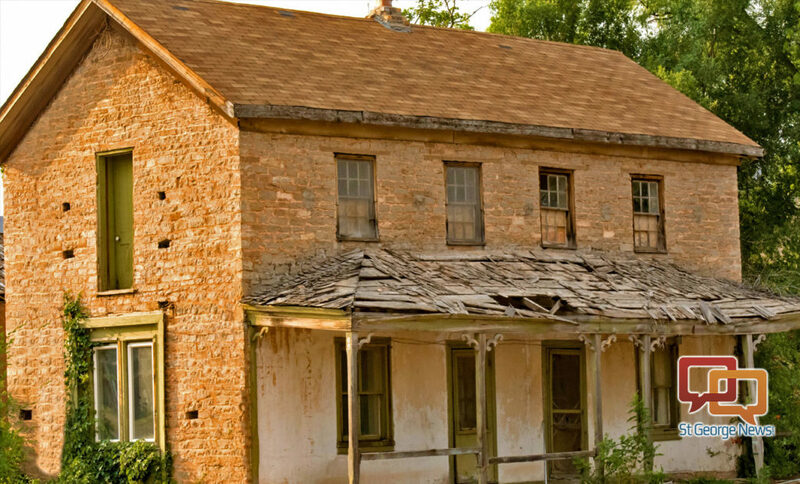 The family has plans to restore the old home. A recent housing development sprung to life with lovely haciendas in the east pocket, just over the new wide bridge spanning the Virgin River. The walk was one of several sponsored by Locals Know Dixie. 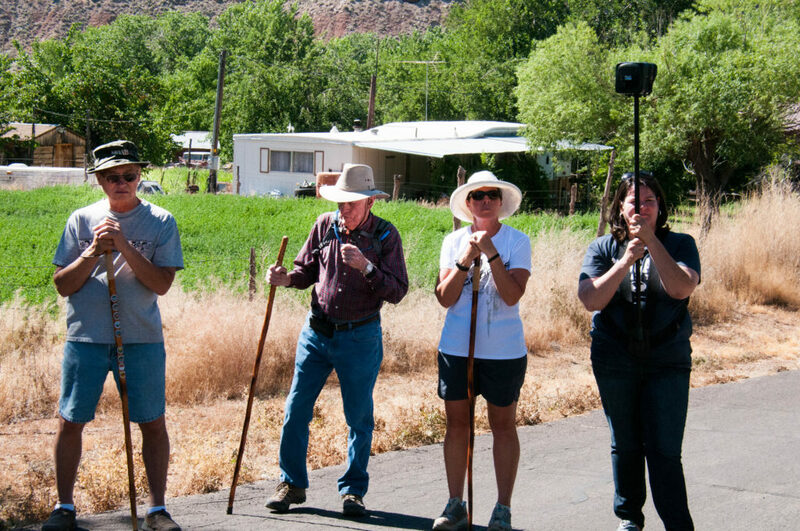 They are a great way to not only get out and walk but meet the mayors and learn the heart of each town in Southern Utah. Intermountain Healthcare started this program three years ago and Healthy Dixie Council continues to supply a walking stick to first-time attendees. If you are interested email Heidislemke@gmail.com or localsknowdixie@gmail.com. Two eateries in town are Buffalo Trails Trading Co., specializing in buffalo burgers, and Fort Zion; both on the highway. Owner Dee of Fort Zion makes her own bread and twists the ripe prickly pear thumbs, stews them into syrup and whips up not only delectable prickly pear ice cream but sauce for barbecue ribs. You’ll like the western décor, antique player piano and hundreds of well-worn boots hanging from the ceiling. I did.